Every once in a while I come across a specialty drink that I'm sure you've never had. 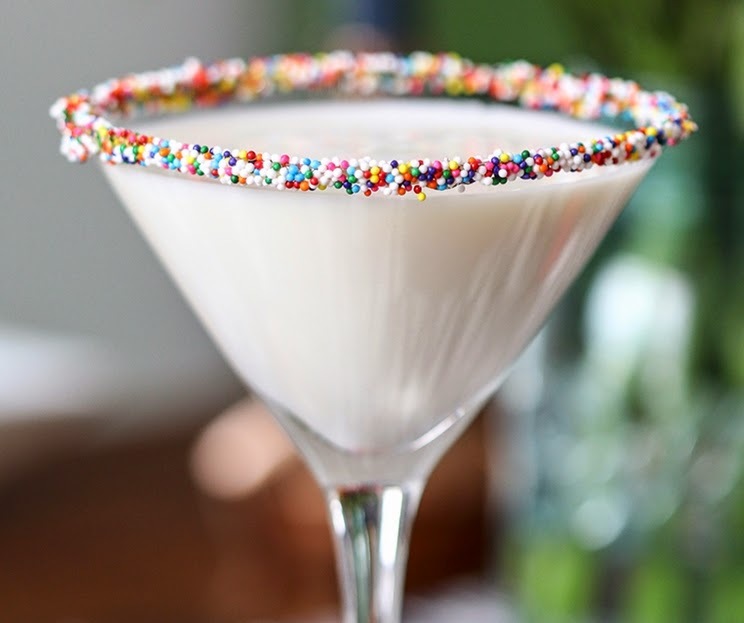 For all my friends who are having birthdays this month, this Birthday Cake Martini is for you! Happy Birthday... you deserve it! Begin with two shallow dishes or plates. To one, add a teaspoon of honey. To the other, add the sprinkles. Rim the edge of the martini glass first in the honey and then in the sprinkles. Set aside. In a cocktail shaker filled with ice, combine the vodka, amaretto, creme de cacao and half and half. Shake vigorously. Strain into your prepared martini glass. What Can You Do For Your Business on fiverr?